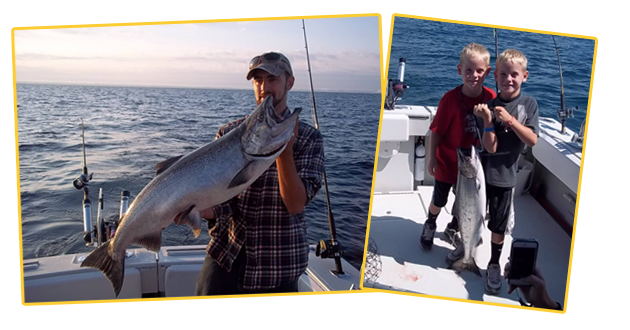 Rampage offers exciting Great Lakes Fishing trips out of the Port of South Haven on Lake Michigan. The boat is very spacious and comfortable. Captain Kenny and his mate are very patient with the customers, and make them feel right at home on the boat. They also welcome children on the trips. Cleaning and packaging your catch is done compliments of Captain Kenny and his mate. Relaxing Sunset Cruises also available. Please note that Rampage Charters rates listed below are competitive with other charter boats out of the Port of South Haven.